This article is just the findings and results we found on several PSU´s but we cannot yet explain why or how this happens. Are you a electric engineer or have knowledge about the workings of the PSU and able to explain this phenomena in greater detail? comment below or contact me trough email – thanks! 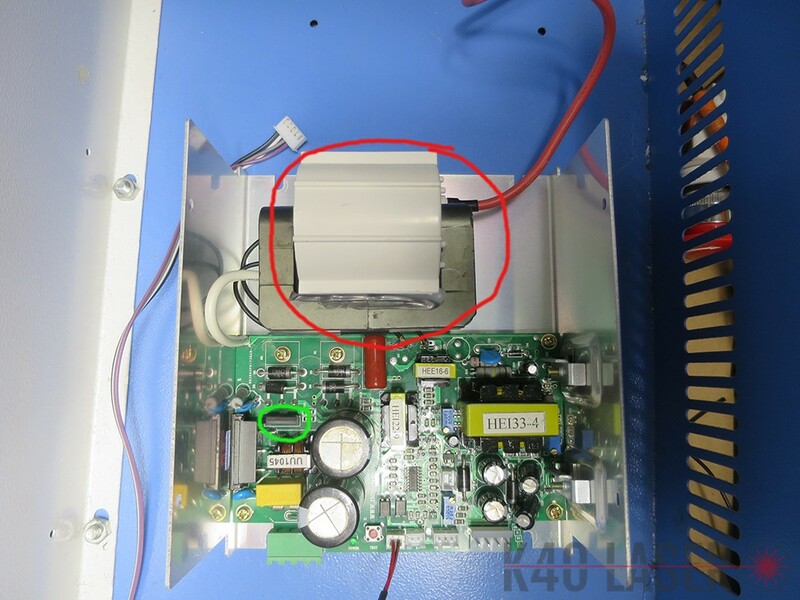 The power supplys in our beloved K40 machines are poorly built, the power in them is barely enough for running the machine itself. I have been following a lot of user lately which machines just stopped working or had other electrical problems and they all have one issue in common, the PSU. Upgrading the PSU before use will stop the PSU problems if the tube goes bad or the rectifier burns to prevent damaging the flyback. The upgrade is a couple of dollars worth, but can save you a lot of waiting and head ache later. See this article how to find if it is your rectifier or flyback creating the problems – if your machine already have problems. Mainly there is two reasons why the PSU fails and they all have a source in the same components. When the tube fails the PSU tries to energize the tube and fails and either starts arcing internally or on the positive lead on the tube. This often destroys or weakens the flyback transformer, it does not like the arcing and with time it will probably go bad. To this date i have 13 reports of user experiencing arcing a while before the PSU died completely after a dead tube. The rectifier used in the power supplies are the wrong specs, the power created inside the machine is upwards to 2-3A and the rectifier is a 1A model. When this goes out it often damages the flyback (high voltage transformer) and with time it will stop working properly. Some PSU´s do not have a fan, some have one. 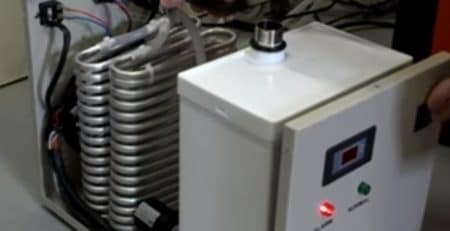 The problem is if you run it for long the small chamber will heat up quickly and the PSU will try to cool itself with the heated air inside the chamber. To sleep better, add a fan on the back pulling air out of the smaller chamber, or put your PSU to the wall breathing from outside the chamber. See this article about tilting your PSU. Make sure all grounds inside the machine is 100% good, remove the ground bolt in the back and remove paint so the ground has good connection into metal. Remove the blue tape on the PSU and add a extra ground wire from the bolt holding the PSU to the case from the GND bolt in the back. Double check the ground wires to the controller and panel too. The best idea is to change out the bridge rectifier the first thing you do. You need to solder it, very easy hole trough mount so a simple soldering iron will do the job. 1: Make sure the PSU is not connected to the wall outlet. If it is, remove the cable and wait 24h before you do anything. The caps can store a lot of power for hours. 2: Remove the cover from the PSU and unscrew the board from the bottom. Take some pictures to remember what goes where if needed. 3: Turn the board upside down and de-solder the rectifier. Clean up the holes with some “solder wick” or similar. Solder the new one in place. Clean up the soldering job with some alcohol. 4: Mount everything back in reverse order. In this picture the flyback is marked in a red circle, and the location of the bridge rectifier is located inside the green circle. I went to upgrade the rectifier in my new K40, having read this article. When I opened the PSU, I found a GBU 610 rectifier was installed, which is a 1000V 6A rectifier. It maybe that the manufacturers have read this, and newer boards come with an uprated rectifier. Yes, we had a talk with a engineer in october last year, and since then they have upgraded the rectifiers in the PSU´s to 5-8A versions. No need to upgrade if you have a KBU610. 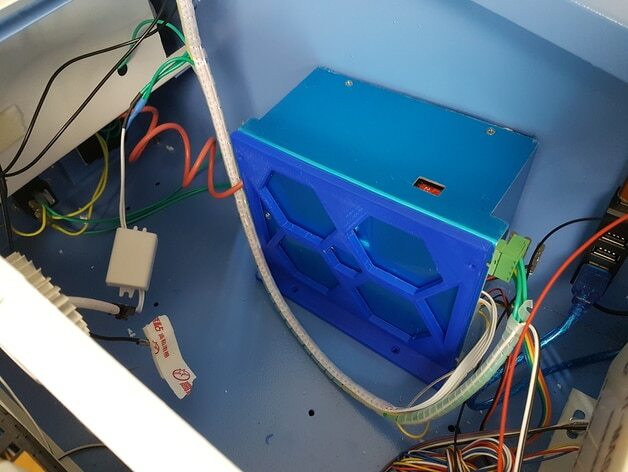 They said the PSU´s was not actually made to drive the stepper motors and controller, only the controller and all extra load was eating PSU´s bigtime. A good upgrade for you later on is to grab a 24v, 4-5A PSU to let some load off from the laser PSU. You can find them cheap on ebay or similar.